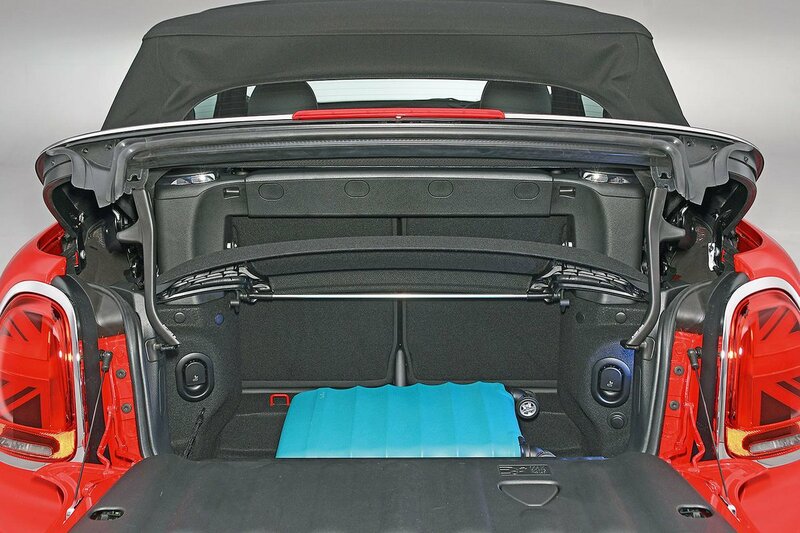 Mini Convertible Boot Space, Size, Seats | What Car? There’s a generous amount of space up front for two tall adults. 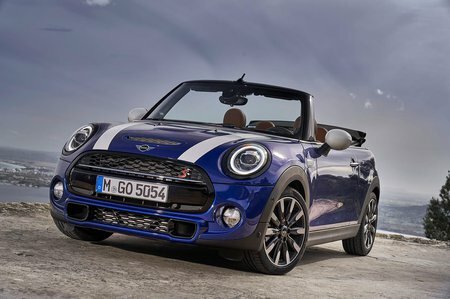 However, getting your two rear passengers in and out of the back with the roof in place is a bit of a palaver: it involves ducking beneath the low roof and squeezing in through a very narrow gap created by the tilted-forward front seats. Obviously, this is a much easier exercise with the roof down. 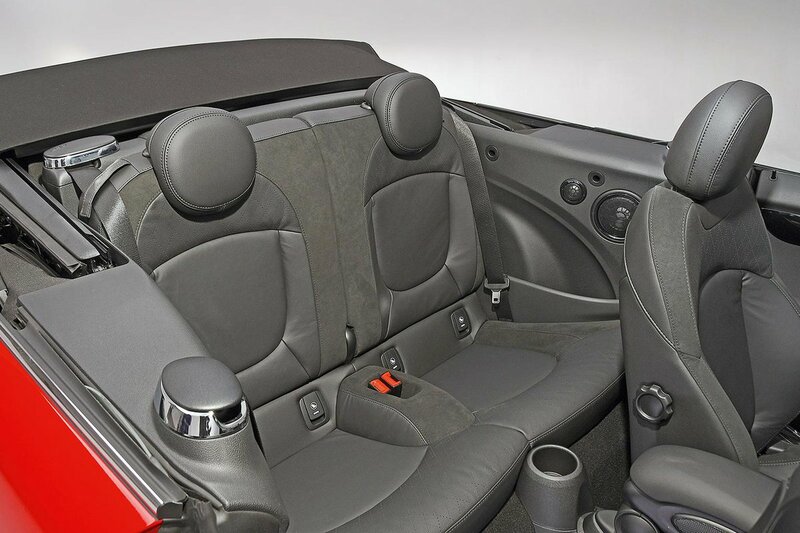 Thankfully, once the rear passengers are ensconced, they’ll have reasonable leg room and space under the front seats to place their feet relative to other small convertibles. There’s also a surprising amount of head room but shoulder room is extremely snug. Useful cubbies are dotted all around, including a neat space for your phone to sit beneath the USB and charging sockets, so it shouldn’t slide about on the move. You also get two sizeable cupholders in front of the gearlever. At 160 litres with the roof down and 215 litres with it up, the boot is decent for a small drop-top but at best it’ll manage only three carry-on suitcases. Access can also be a bit tricky. When you access the boot, the bottom half opens towards you like a drop-down tailgate. If you have particularly big items to load, you’ll need to pull a couple of levers to lift the rear of the roof to make things easier, and you’ll also need to leave enough space to allow the levers to return to their locking position. This is not quite as simple as it sounds. The rear seats split 50/50 and fold as standard, but there's quite a step up to them from the boot floor.